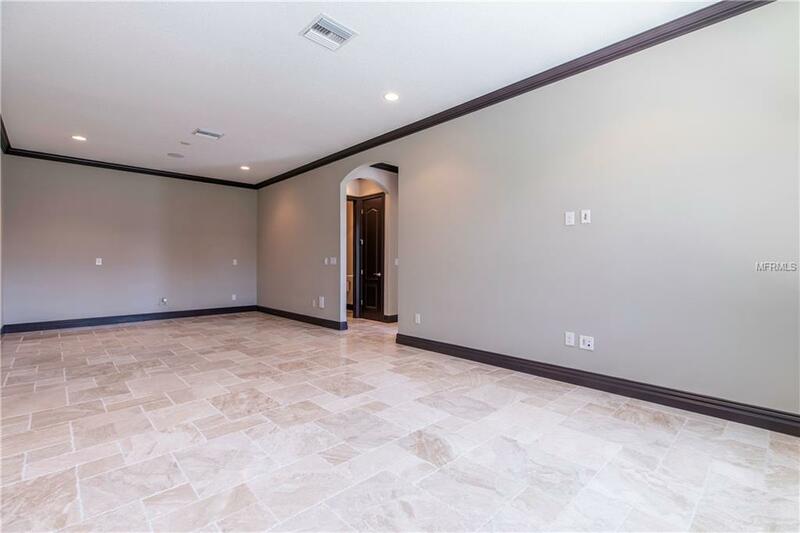 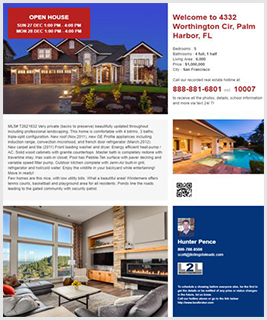 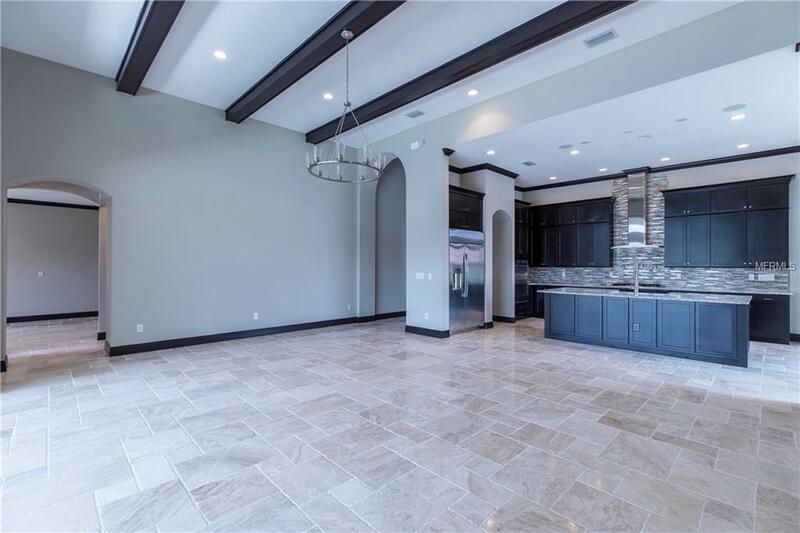 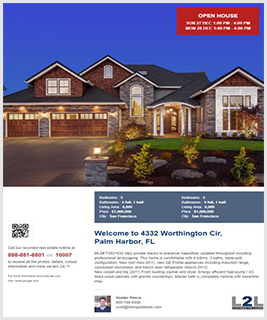 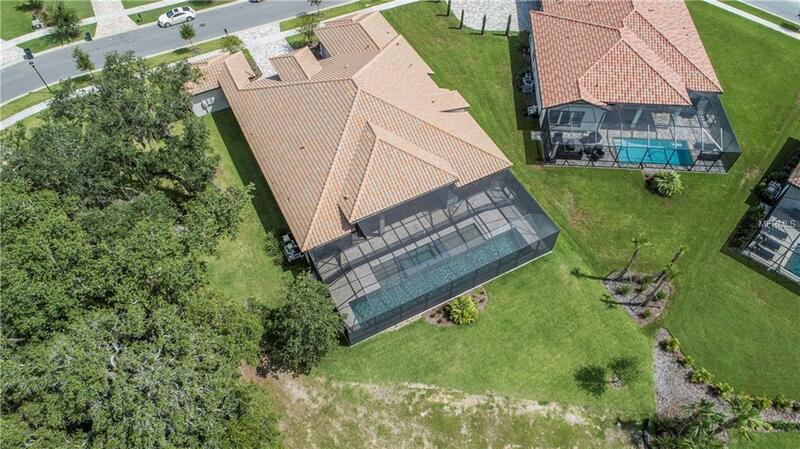 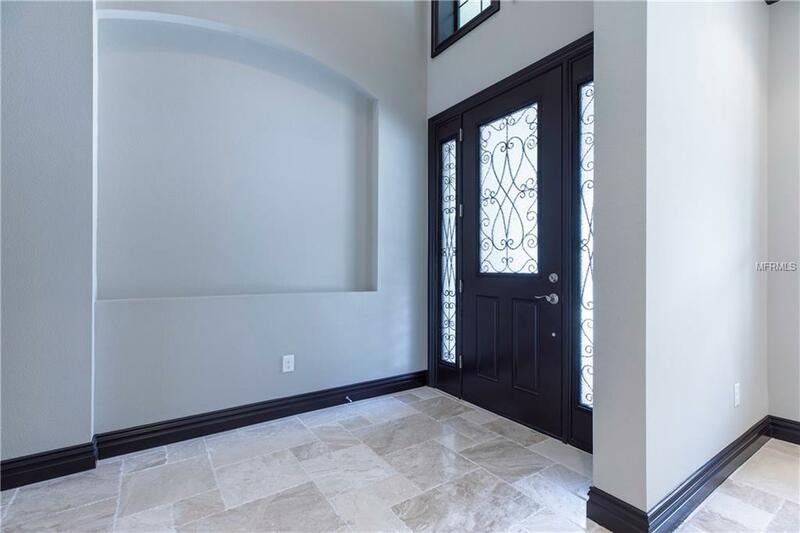 Rare opportunity to own this exclusive Cardel Dolcetto IV in the highly sought after and exclusive gated Preserve of Fishhawk Ranch. 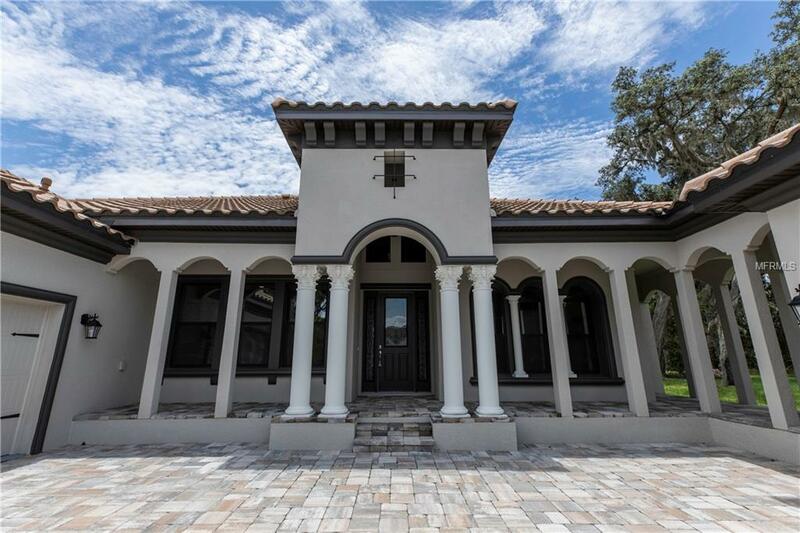 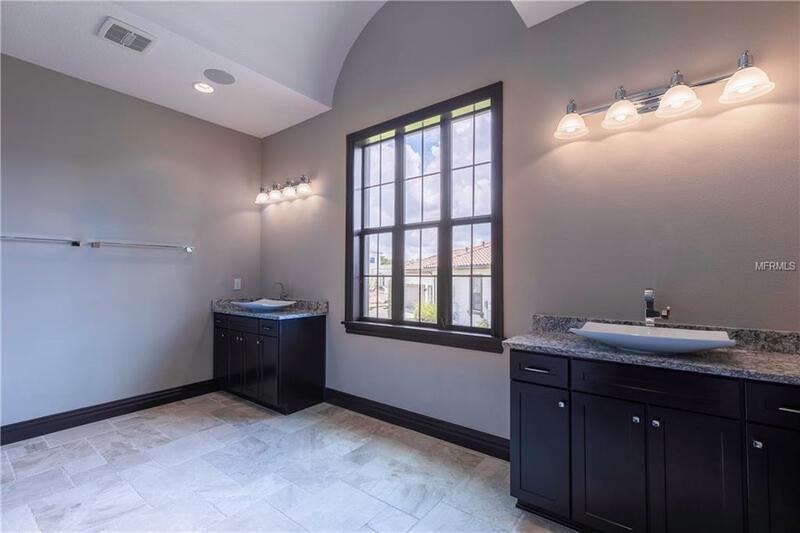 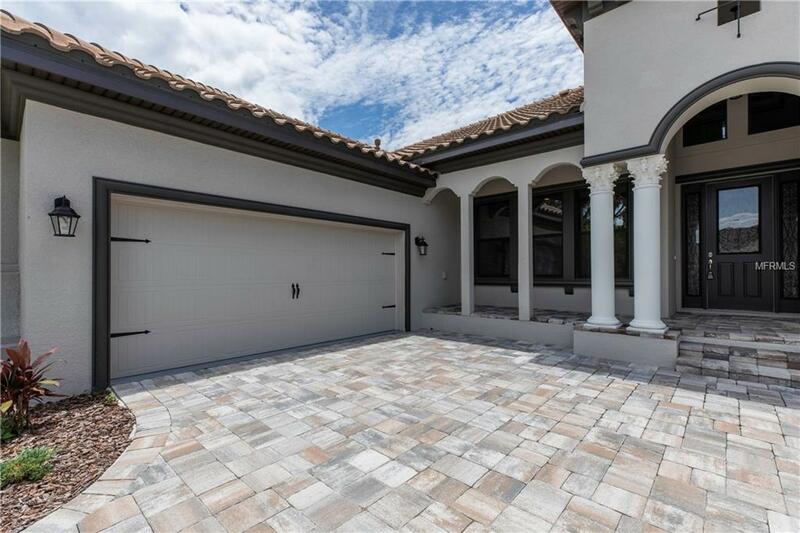 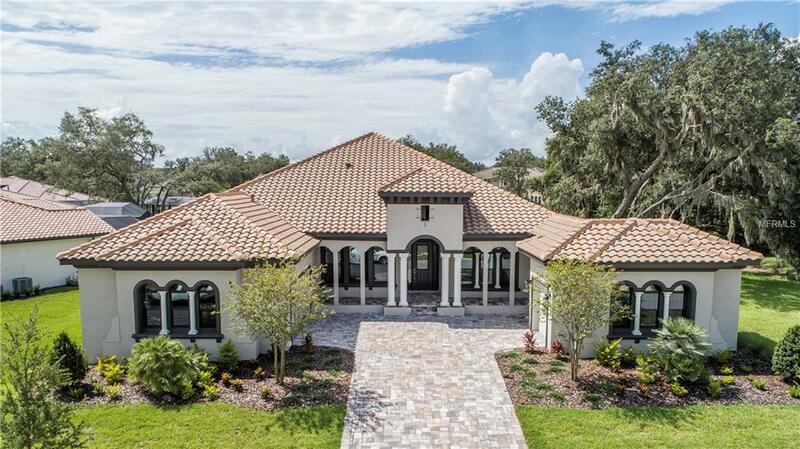 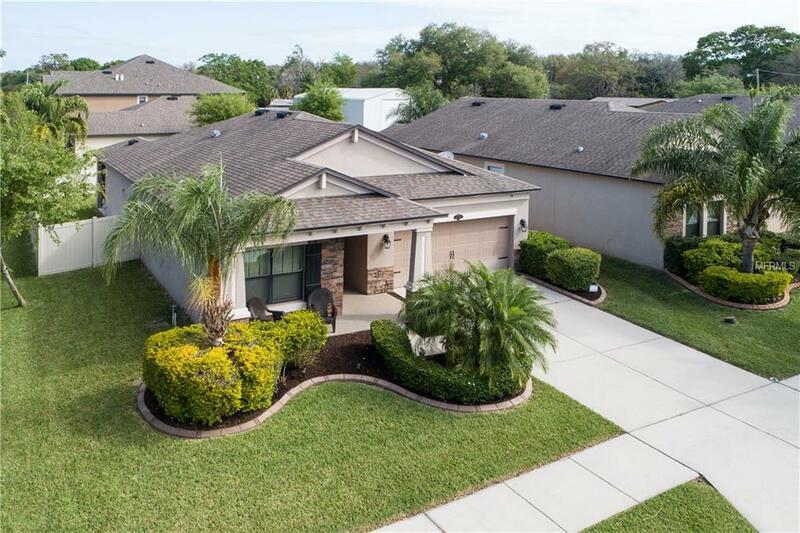 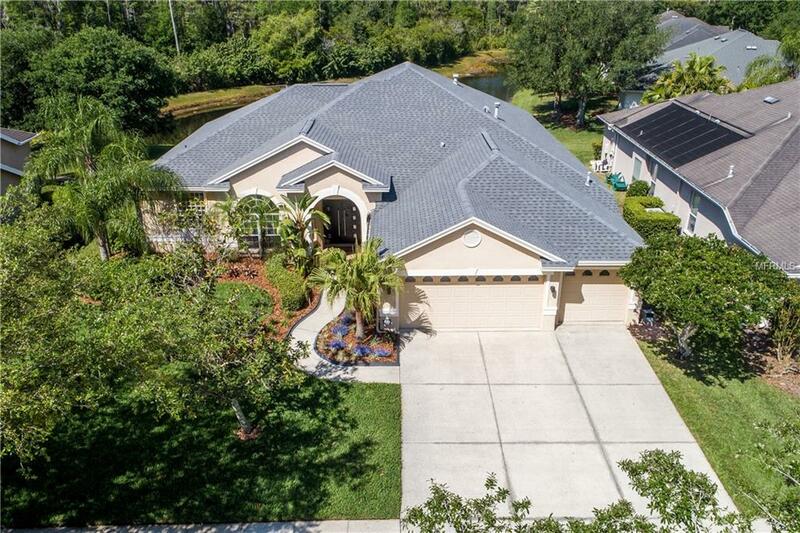 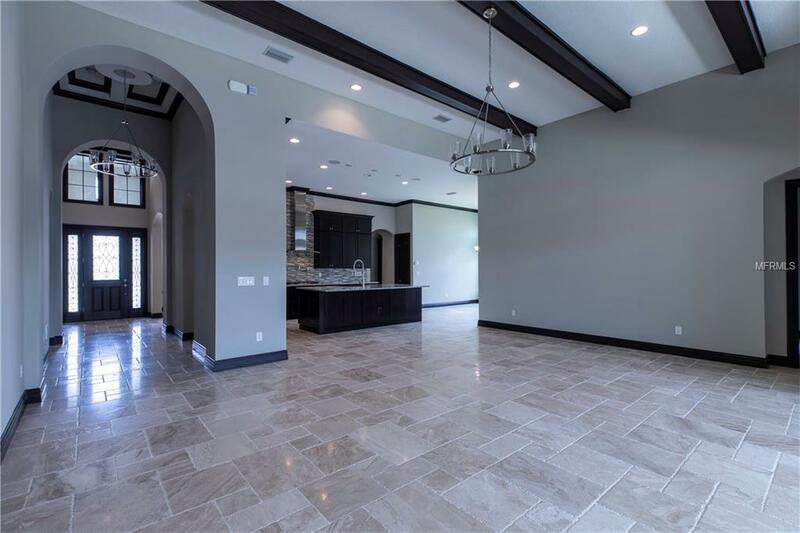 This Italian Villa style pool home boasts a courtyard entry with 3 car split side load garages, a huge bonus room (plumbed for a wet bar) and on an oversized lot (almost ½ acre). 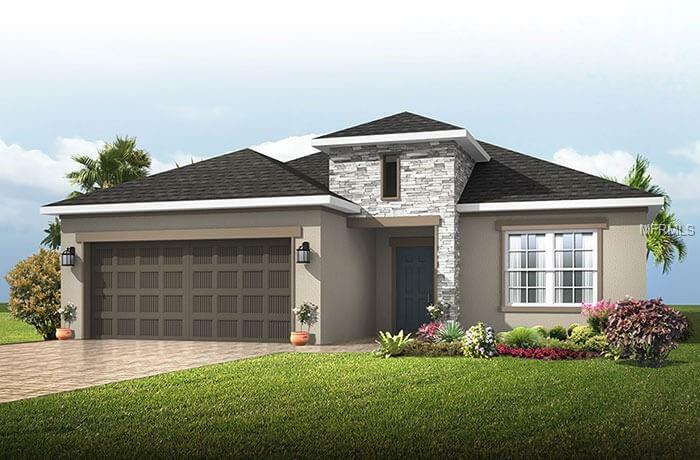 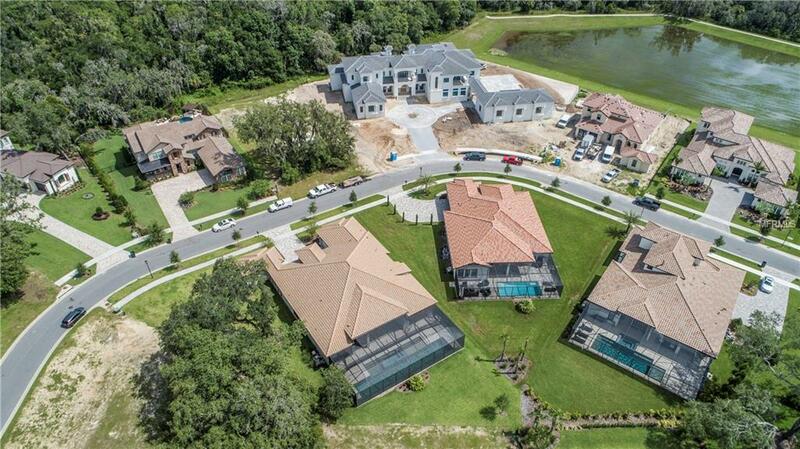 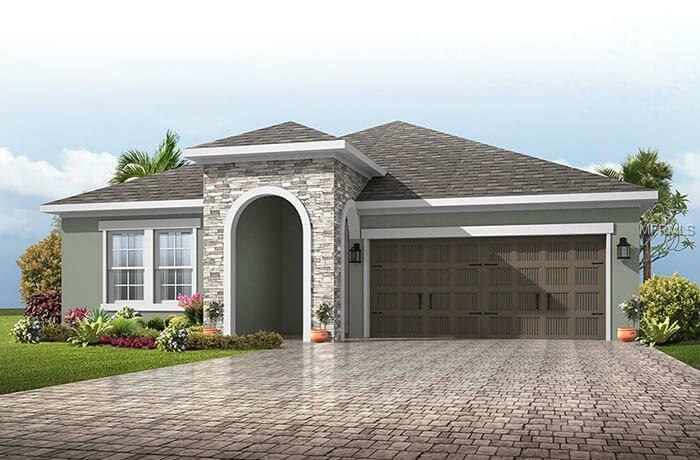 The only model of its kind in FishHawk, usually found in Cardel’s multi-million dollar communities! 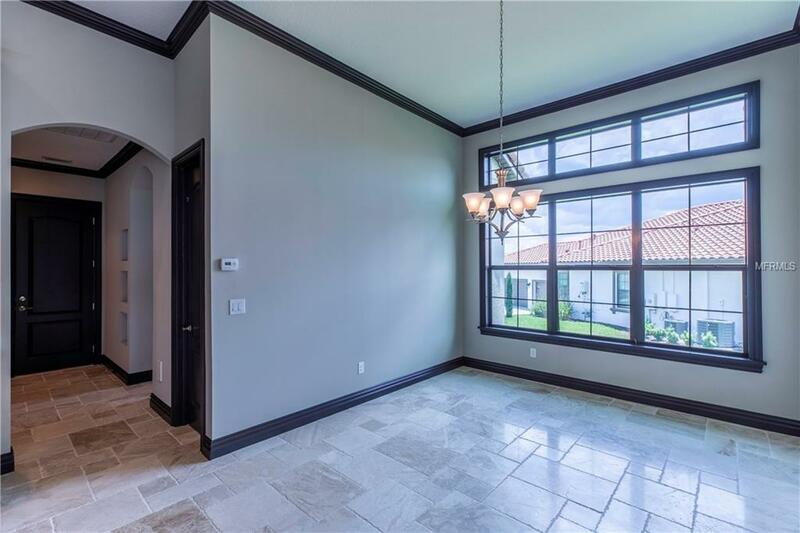 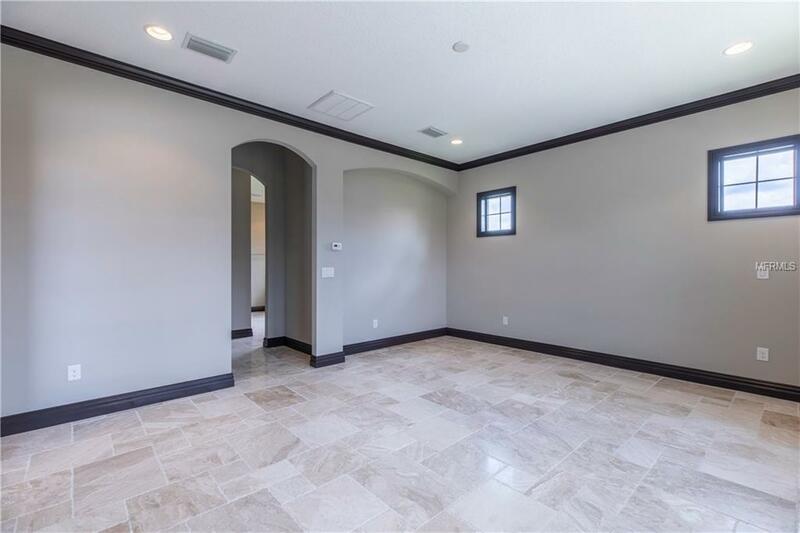 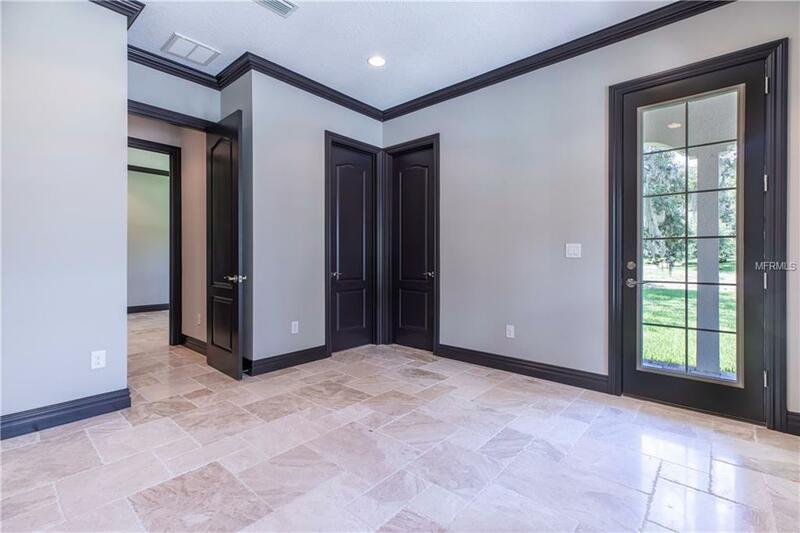 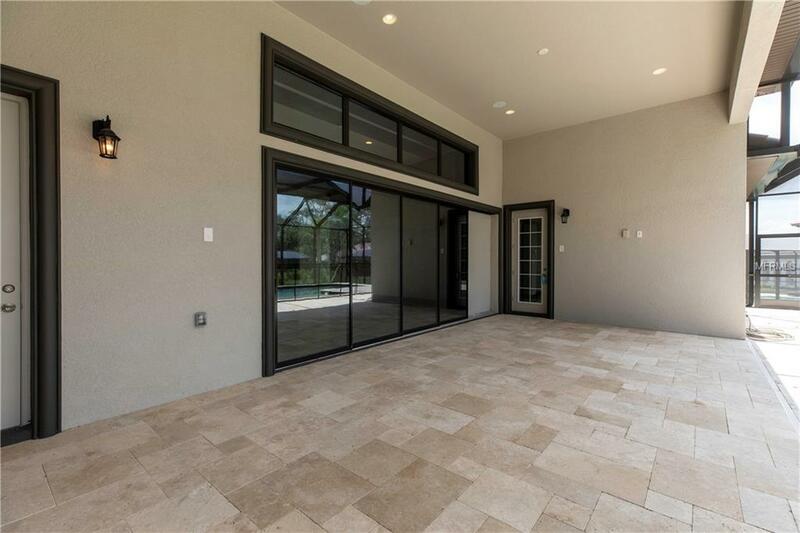 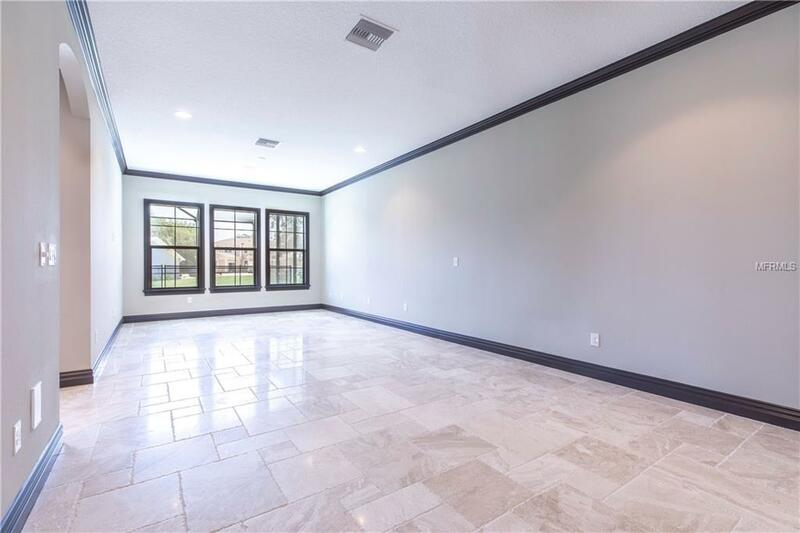 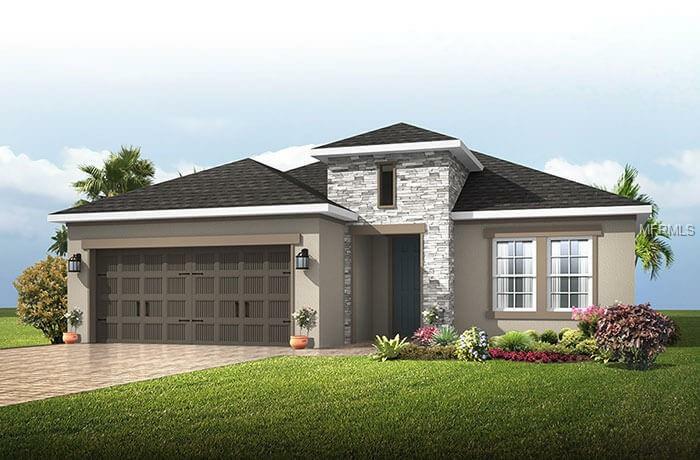 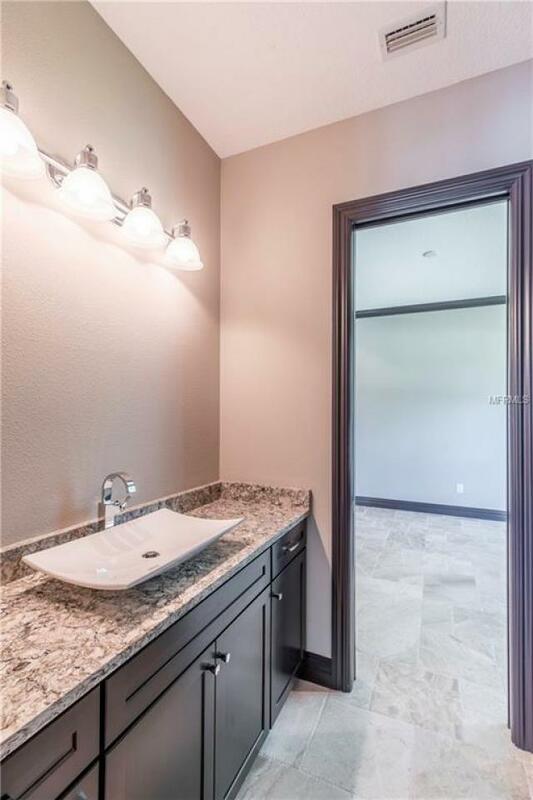 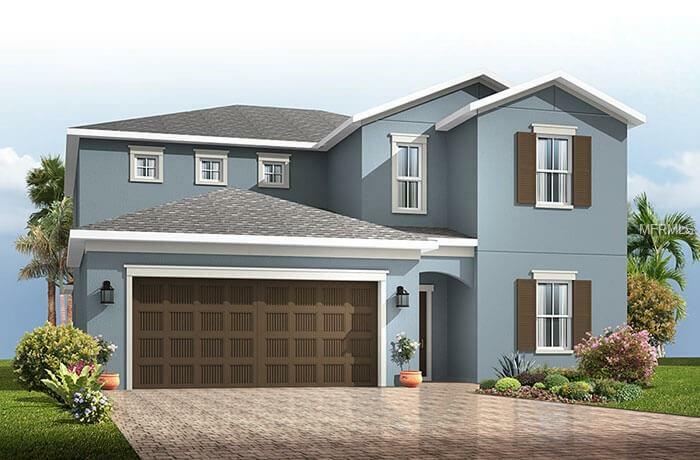 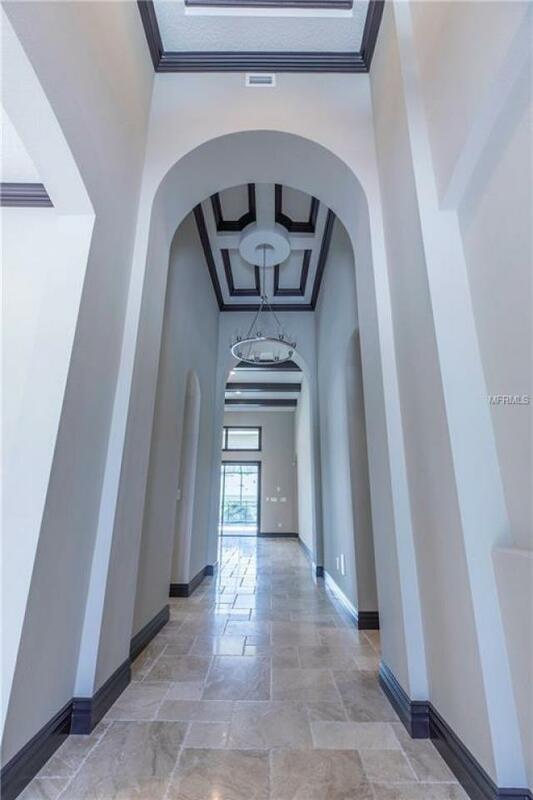 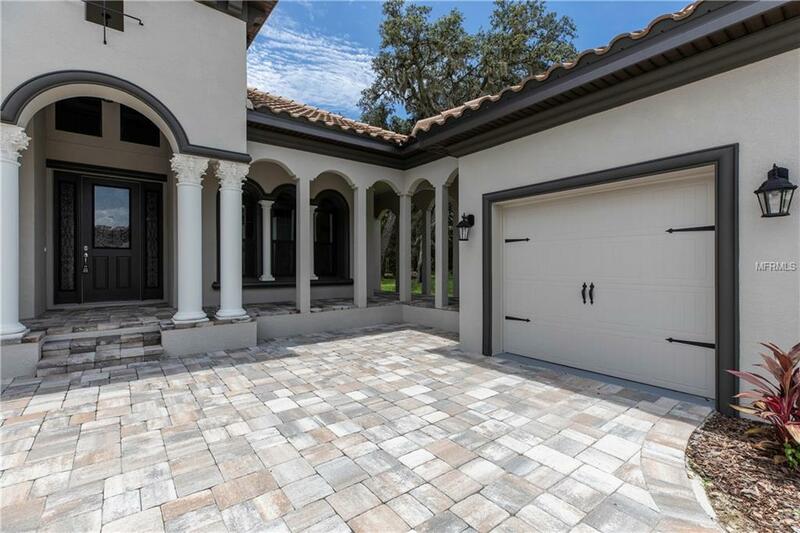 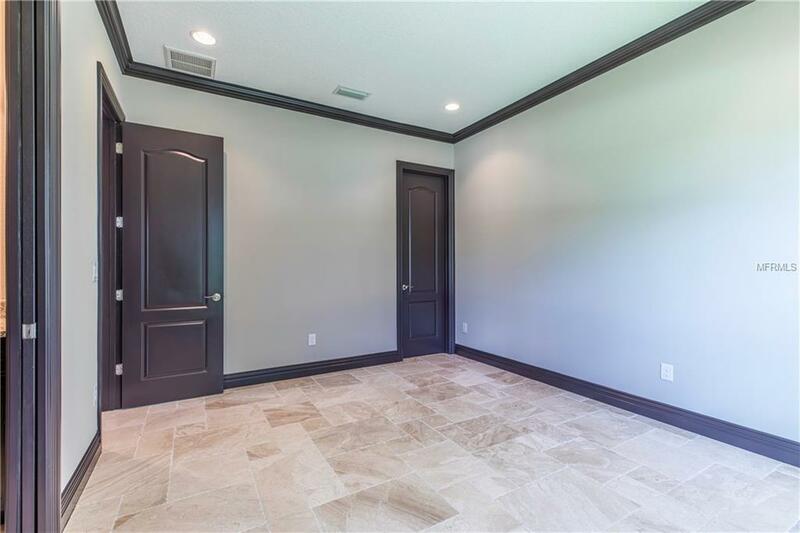 The pavered motor court welcomes you to the front porch, which extends the full length of the home and connects to the custom-drawn garage breezeway. 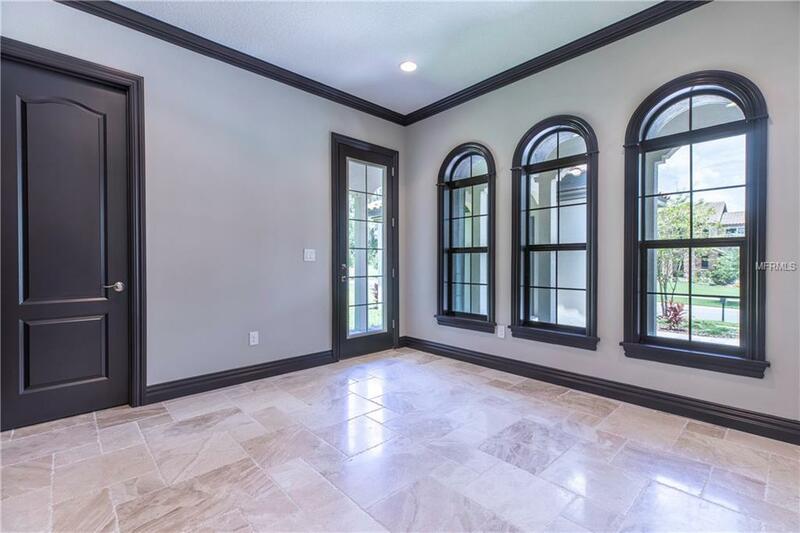 Travertine floors, arched doorways, and upgraded trim with Victorian casings span the entire home. 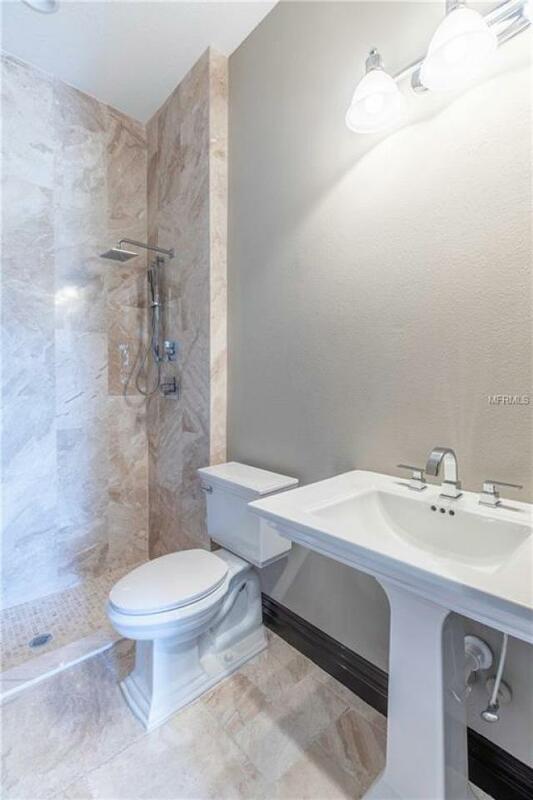 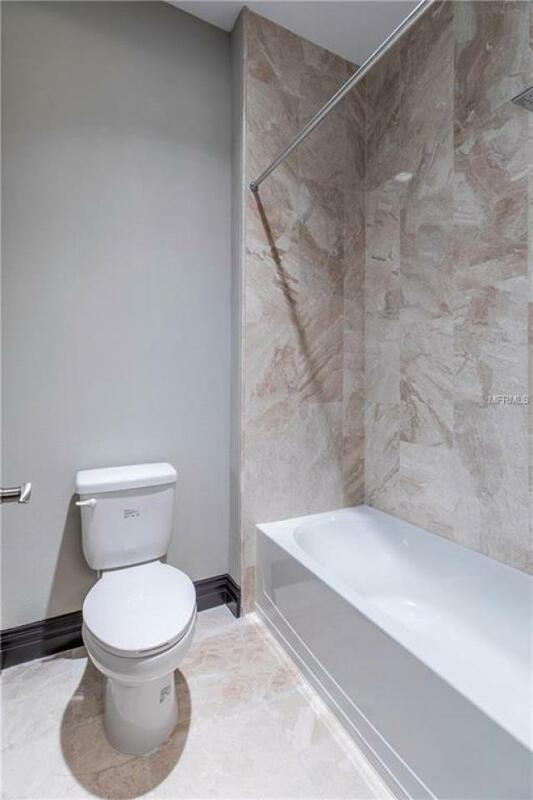 Do you need an in-law or a teen suite? 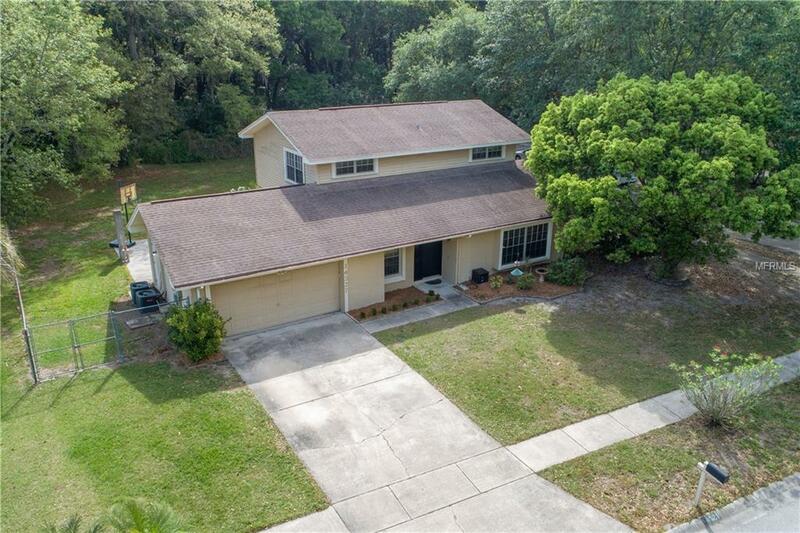 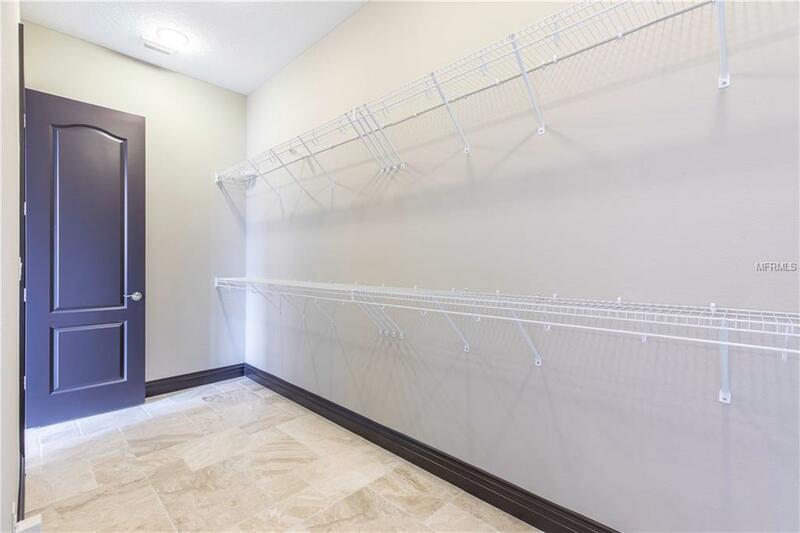 There’s a great bedroom with access from the 1 car garage & breezeway that offers independence & privacy. 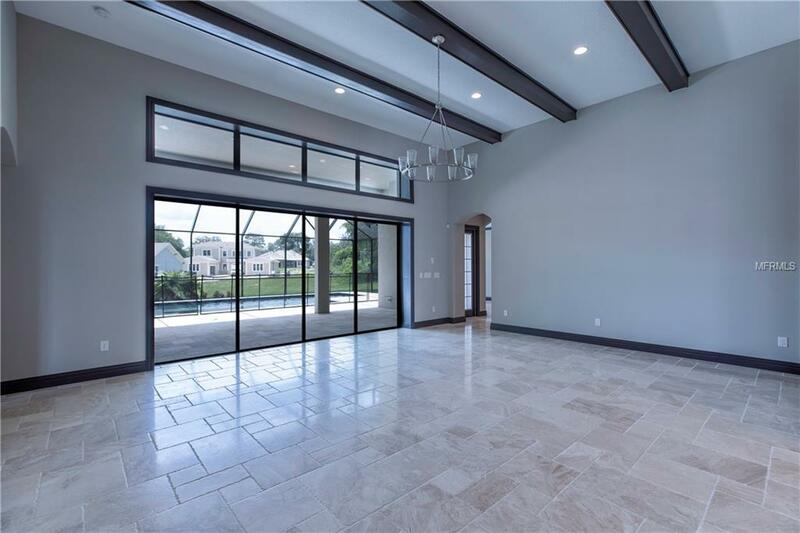 Enjoy views of the heated, extended lap pool and spa from the palatial Great Room, complete with pocket sliding glass doors and stately ceiling beams. 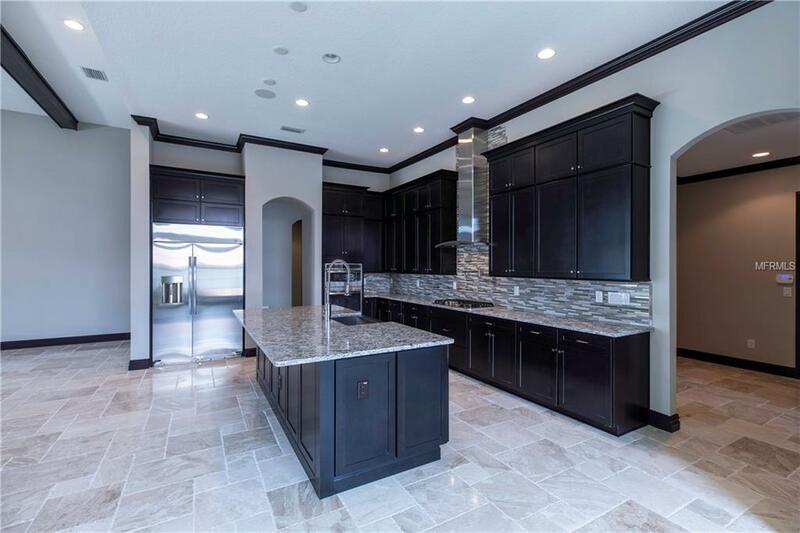 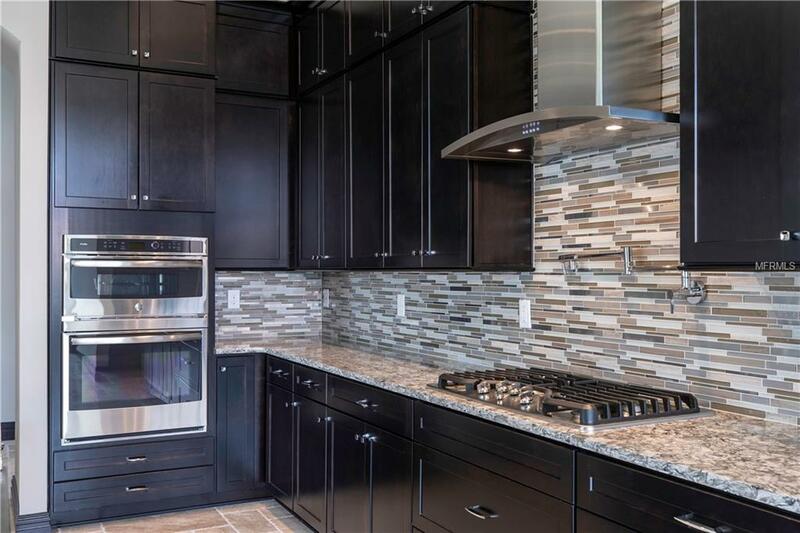 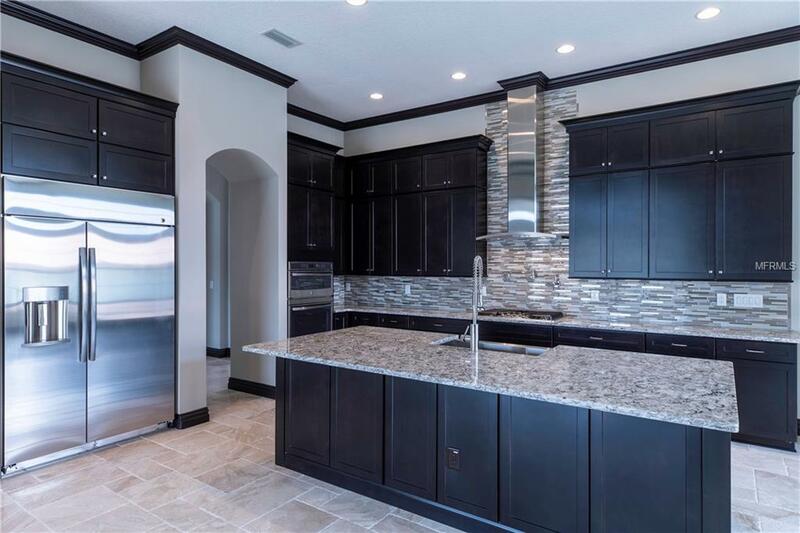 The adjacent kitchen is any chef’s dream, with 13/16” granite, stainless steel appliance package including counter-depth built-in refrigerator, prep island with cabinet panels and furniture base, and convenient pot filler over the gas stove. 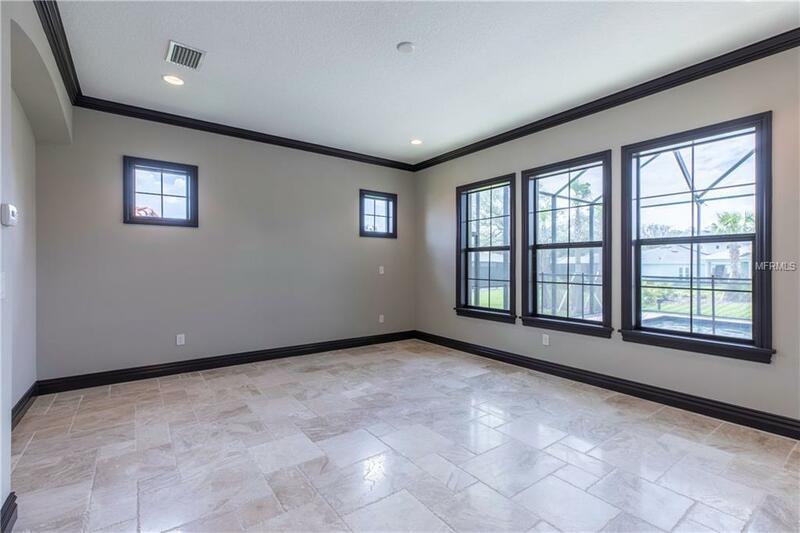 Hidden gems in the home: radiant barrier, central vac system, surround sound in living areas, lanai pre-wired for outdoor TV, gas tankless water heater, and Bora-Care termite treatment on interior walls. 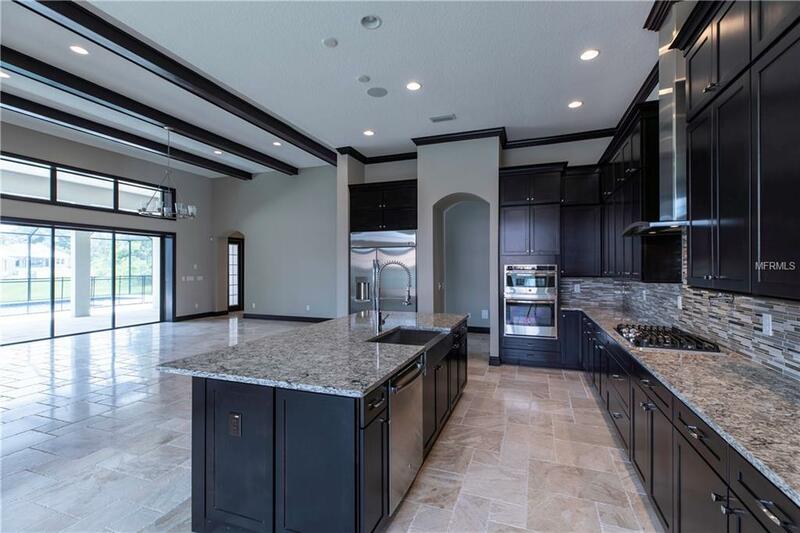 Not your cup of tea? 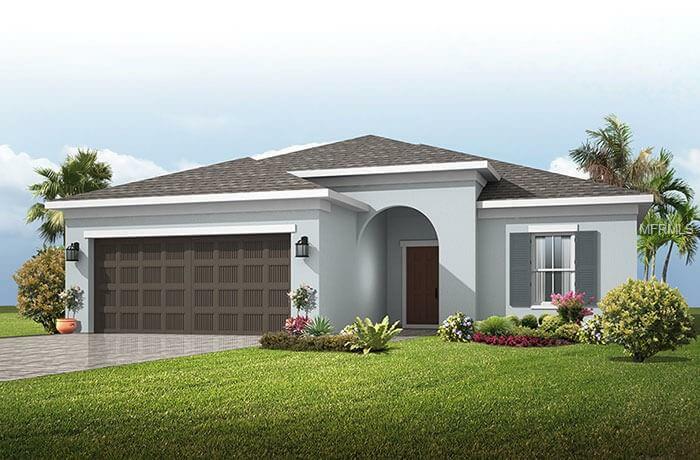 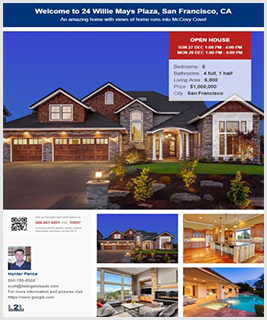 Choose from 6 other floor plans starting in the $550,000’s all on 80’ wide executive home sites.